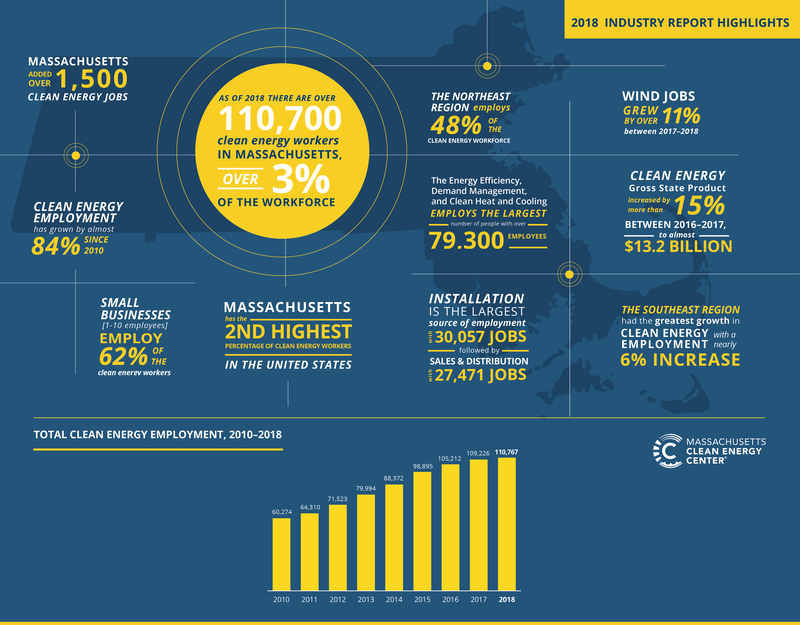 The 2018 Massachusetts Clean Energy Industry Report shows that the clean energy sector continues to grow, with more than 110,700 clean energy workers in Massachusetts, or about 3% of the workforce. Massachusetts added over 1,500 clean energy jobs, and the industry contributes almost $13.2 billion to the Massachusetts Gross State Product. Clean energy employment has grown almost 84%, or about 50,500 jobs, since 2010.